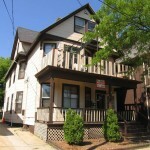 3 Bedroom Apartment on Butler St. Efficiency: The average rent for a studio or efficiency apartment in the Madison area is $673. One Bedroom: The average rent for a one bedroom in the Madison area is $813. Two Bedroom: The average rent for a two bedroom in the Madison area is $964. Three Bedroom: The average rent for a three bedroom in the Madison area is $1342. Four Bedroom: The average rent for a four bedroom in the Madison area is $1549. The population of Madison, Wisconsin is 248,951 people, and even though you love your dog or cat more than most people, they are not included. The median income in Madison, Wisconsin is $54,896 per year. Madison is located in Dane County.